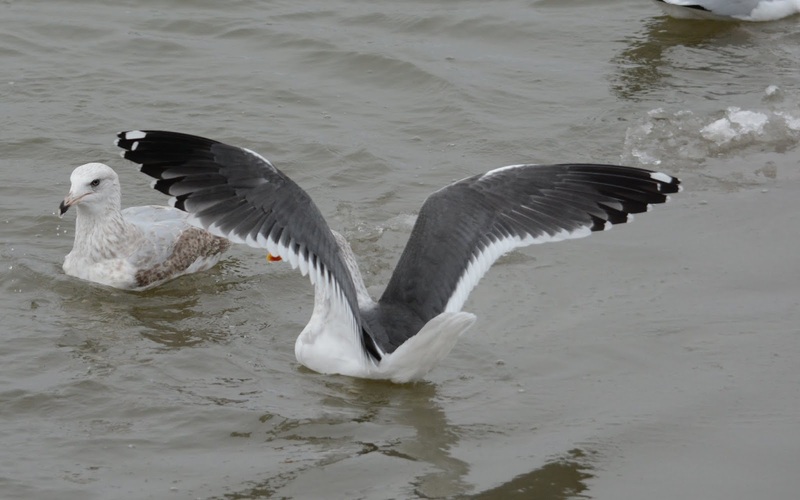 I received news of an adult Slaty-backed Gull yesterday, found by Jim Mountjoy on the Illinois River in East Peoria. 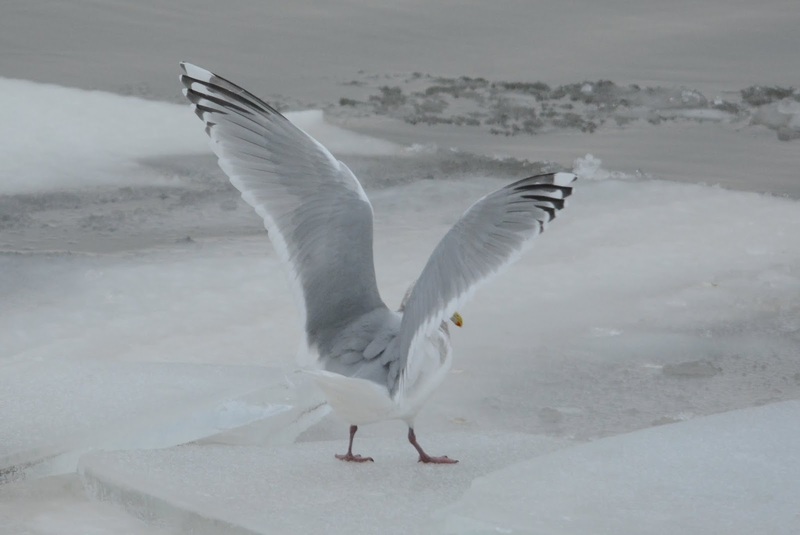 I was in Chicago at the time enjoying my fair share of winter gulls when I got the message. Chasing rarities is always a crapshoot and for me it's part of the fun. I made the 2.5 hour drive out but was unsuccessful. 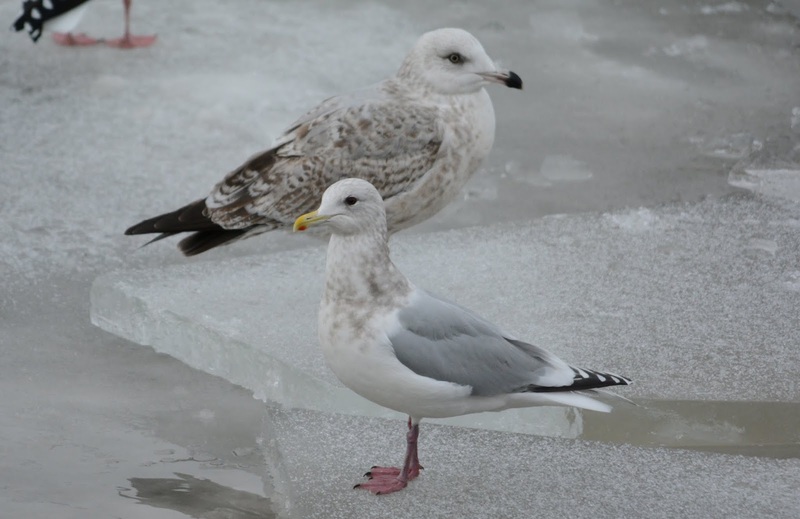 As far as I know, Jim was the only observer but he obtained good enough photos to verify the ID - another great Illinois gull record for the winter season of 2015! From the 20 or so birders present, a handful of us stuck around until sunset hoping the bird would return. 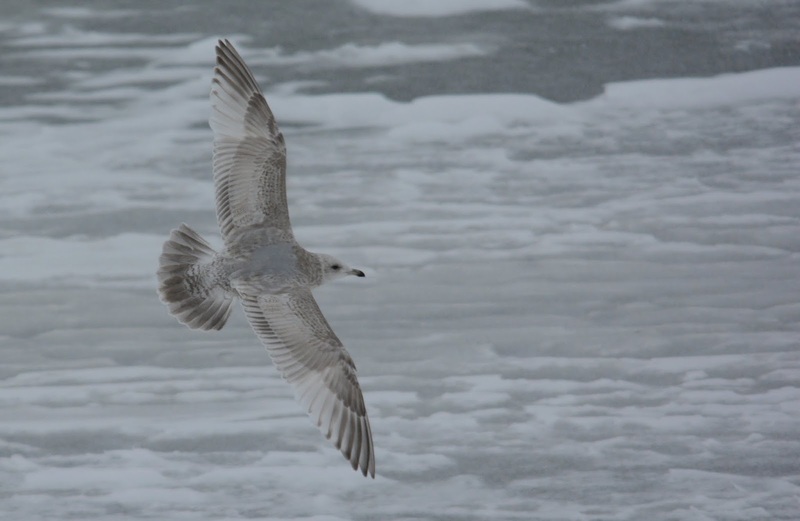 Meanwhile, we all enjoyed the ~200 Herrings that were present and a few highlights among them: 5 Thayer's (2 ad., 1 sub-adult type, 1 3rd cycle, 1 2nd cycle), 1 Glaucous (1st cycle) and 1 Lesser Black-backed (adult).